I qualified as a nail technician in 2012, a level 2 beauty therapist in 2014 & a lash technician in 2016. I love meeting new people and creating custom made nail art using polish and acrylic. My education comes from some of the UKs best technicians for nails and eyelash extensions and am working towards a CND master technician status throughout 2018-19, as well as working at London Fashion Week alongside some of the most talented manicurists in the industry. 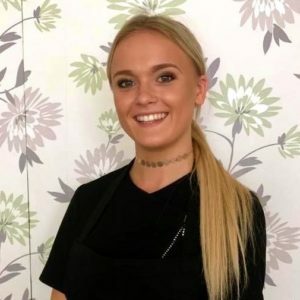 Hi my names Michaella, I’ve worked for GNBS for since September 2014 and I am now a Salon Manager. I started as an apprentice straight from school and qualified 9 months later as a nail technician. I did 1 day leave to go to BCOT College to do mostly theory but also Manicures and Pedicures. I learnt everything else; Nail Enhancements, Shellac and nail art within the Salon. I enjoy seeing regular clients so we can have a nice catch up and I also enjoy welcoming new clients. 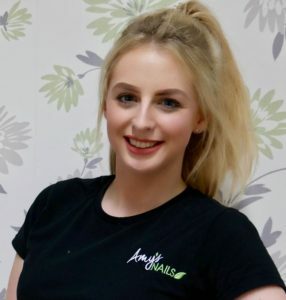 i am based in our Alton salon, you can contact me on michaella@amys-nails.co.uk. 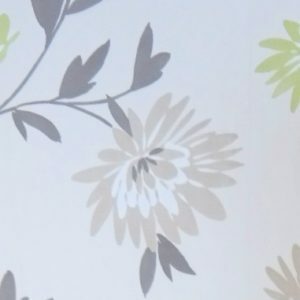 I am Lithuanian, nails was my hobby while I studied in college. Before I arrived to UK I gained my Nail Services Qualification in 2011. In 2014 I got a Bachelor degree in Business Management and Administration. ‘My life motto is: ‘Nothing is impossible for as long as it’s possible.’ I hope I will become a valuable team member of GNBS. Hi I’m Laura and I’m from Poland, I speak English, Polish & Italian. Nails has always been my passion, I’m a Nail Art specialist and have doing nails since 2012. I finished courses in Gdańsk and Poznań in Poland but I still educated myself. I have qualifications in all aspects of nail services and also ‘Icons’ nail art. I also love fashion & the gym and I hope to make our clients happy and trendy. 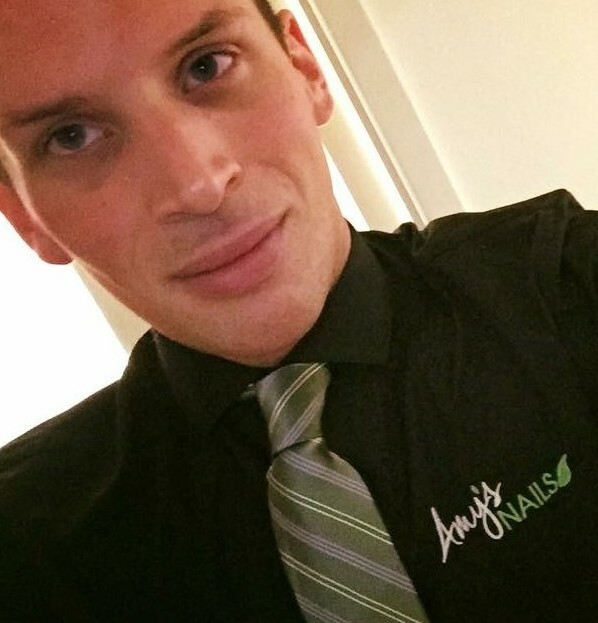 I am based in our Petersfield salon and you can contact me on lpyszora@amys-nails.co.uk. My name is Molly, i’m 18 & I live on Hayling Island. I left TPS in 2016 and have always been interested in the nail & beauty industry & when I walked past GNBS there was a sign in the window for an apprentice job, so I instantly had to apply! 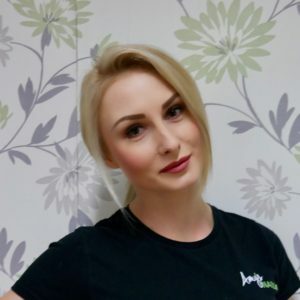 I qualified as a nail technician in June 2017, gained my Classic lash extensions qualification in November 2017 and my lvl2 beauty qualification in September 2018. I look forward to meeting all our Petersfield clients – see you soon! Hi, I’m Josie. I have always had a passion for nails and beauty, I love how there’s no limit to learning new techniques and styles. I really enjoy working at GNBS, everyone in the team is so friendly and welcoming. I can’t wait to see what the future brings within the business. I qualified in nails in 2017 and studied beauty therapy lvl 2 until 2018 and am progressing to lvl 3 through an apprenticeship with GNBS. 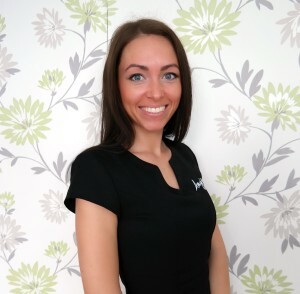 I am available in our Petersfield salon for all nail & beauty services! Hi everyone, I’m Chelsie and I’ve been a member of GNBS since 2017. I studied my level 2 and decided to continue my level 3 in the salon as I loved the feel of team work and respect we all have for each other. My passion is massage and education, I enjoy creating lesson plans with our owner Chris and love to create a relaxing environment for our clients. 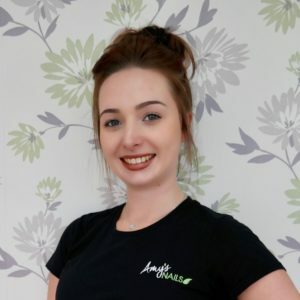 Book in with me in Alton for a massage – receive 15% off when you book online! 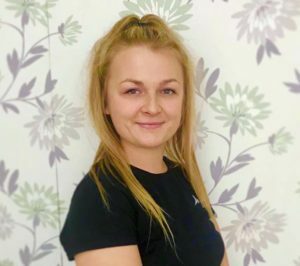 Hi i’m Nadia, I am a apprentice nail technician. 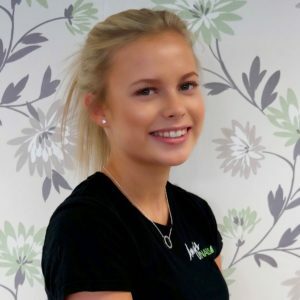 I went to college after secondary school to do a level 2 hair and beauty course as well as level 1 spray tanning with Sienna X. I have had some years of experience in customer service and client care working at a local hair salon so have always been involved in this industry. My journey with GNBS started in July 2017 and i’ve loved every second. The team is full of wonderful people to work with and they show so much care, consideration and support for the clients and team. 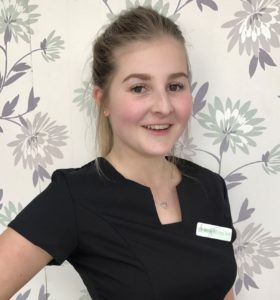 I have learnt so much already working at GNBS and am looking forward to gaining new skills and am proud to be apart of the salon as it grows in the future. I feel so lucky for the opportunity that GNBS has given me and I’m really excited to become the best nail technician I can be and become part of the team. I look forward to meeting you all! Hello, my name is Lauren. I am really excited to join the GNBS team. 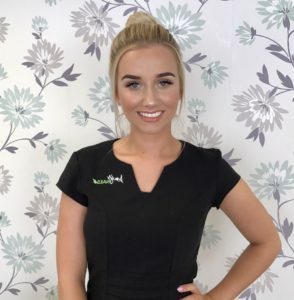 I am currently training as a level 3 Beauty therapist, I qualified in lvl 2 beauty therapy in 2018 along with spray tanning, eyelash extensions and gel polish and look forward to developing my skills and grow in this team. I am determined to be the best that I can be. Hi I’m Chris. I’m the science geek and help train the team in the theory behind services. My motivation is to do the donkey work behind the scenes to help all other stars you see on this page shine as brightly as possible. Amy and I sacrifice hard to make sure we grow our business is a moral way, that rewards our team and delights our clients. My name is Rebecca. I started at GNBS doing a Supported Internship with Southdowns College. Since then, I have met many wonderful and inspiring people on my journey. I have found the most supportive and understanding group of talented people who understand the trials one must face in order to succeed. I will never stop learning about myself and I will never stop striving to be the best I can be.